When we look around, we see a lot of insecurity among us when it comes to our privacy and personal data. The immense advancement in technology and computerized crimes have rattled with individual privacy and data. 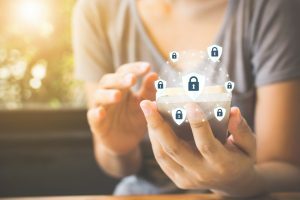 So, when technology has developed to an extent where it can be used in a negative way, the same technology can be utilized in a positive way to protect the data of each individual. The answer to that is the General Data Protection Regulation (GDPR). 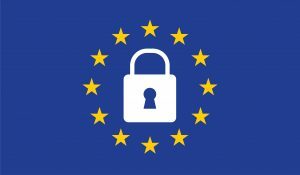 This is a regulation on the privacy of all individuals and data protection, which was implemented from May 25th, 2018, within the European Union. The GDPR primarily focuses on providing controls to the individuals over their data streamlining. Europe has a substantial share in the Information Technology Equipment (ITE), BPO and pharmaceutical industry in India. The IT industry is estimated to be around $155-$220 billion in the top two EU member states (Germany and France). Therefore, If the Indian industry wants to continue doing business in Europe, it will need to comply with the GDPR. GDPR includes a person’s name, his/her mailing address, date of birth, cookies and IP addresses. GDPR not only protects one’s data and privacy, it also offers more in terms of data protection by design and default. Another feature of GDPR is pseudonymization. This is a detailed process which is required when a particular data is stored to transform personal data in such a way that the final result cannot be associated with a specific subject, without the use of additional information. This process finally results in providing more merits such as right of access and right to erasure, among others. As data privacy and confidentiality are critical in any business, GDPR is expected to play a significant role in enhancing these aspects. 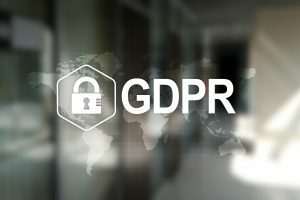 According to experts, when you slimline data legislation by implementing GDPR, it is expected to bring more benefits in terms of profits to a particular business, by making the data input sleek. The reason is that experts in the EU (European Union) have suggested that by implementing a single administrating authority for the entire EU, it will make it easier and reasonable for businesses to operate within the country. Address: Define the privacy management roadmap and implement data security controls through training, awareness, GDPR stress test, and more. Manage: KPI driven Monitoring and managing the implementation processes through periodic data breach stress test, continuous privacy training programs, regular GDPR compliance audits and policy, and privacy review. To know more visit our GDPR services page.